Governments around the world have recognized the growing threat that antimicrobial resistance (AMR) has on the ability to treat life-threatening infections in humans. Many of the same classes of antimicrobials used to treat and prevent infections in human medicine are also used in animals. While the efficacy of drugs is important, there are some antimicrobials deemed more critical than others, based on being preferred options for treatment of serious infections in humans, and the availability or lack of alternative treatment options. 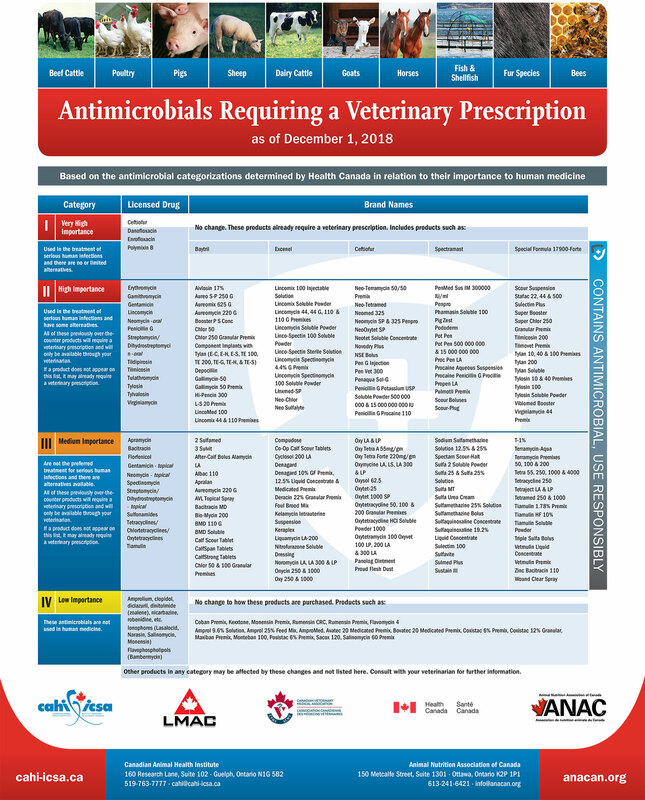 As of December 1st, 2018 all medically important antimicrobials will be labeled with ‘responsible use’ statements. 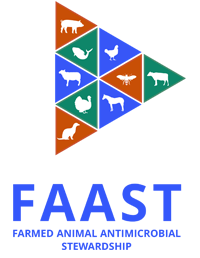 Look out for this symbol on all veterinary drugs containing medically important antimicrobials and be sure to use responsibly! I – Very High Importance These antimicrobials are essential for the treatment of serious human illnesses. Very few or no alternatives are available if these don’t work. II – High Importance These antimicrobials treat a variety of serious infections. Alternatives are generally available if needed, including Category I antimicrobials. III – Medium Importance These antimicrobials treat a variety of less serious infections. Alternatives are generally available, including Category I and II antimicrobials. IV – Low Importance Antimicrobials in this category are currently not used in human medicine. 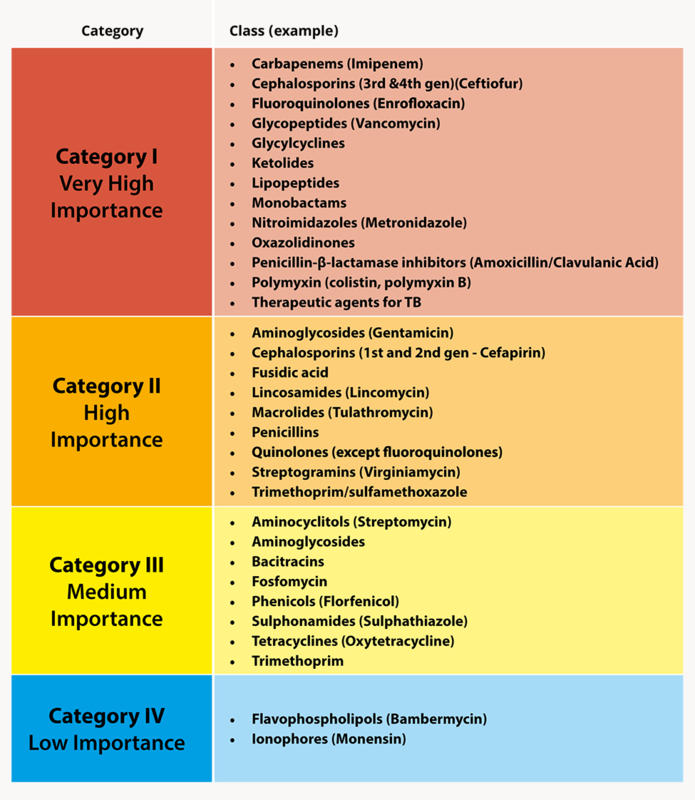 The Canadian Animal Health Institute, the Animal Nutrition Association of Canada, and industry partners have developed a useful table to identify the key antimicrobials that fall into each category. Visit https://www.cahi-icsa.ca/antimicrobial-stewardship to view this image in full.